1 Again I saw all the oppressions that are practiced under the sun. 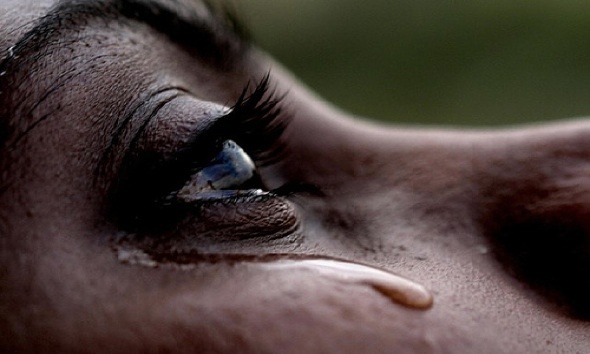 Look, the tears of the oppressed– with no one to comfort them! On the side of their oppressors there was power– with no one to comfort them. 2 And I thought the dead, who have already died, more fortunate than the living, who are still alive; 3 but better than both is the one who has not yet been, and has not seen the evil deeds that are done under the sun. 4 Then I saw that all toil and all skill in work come from one person’s envy of another. This also is vanity and a chasing after wind. 7 Again, I saw vanity under the sun: 8 the case of solitary individuals, without sons or brothers; yet there is no end to all their toil, and their eyes are never satisfied with riches. “For whom am I toiling,” they ask, “and depriving myself of pleasure?” This also is vanity and an unhappy business. 9 Two are better than one, because they have a good reward for their toil. 10 For if they fall, one will lift up the other; but woe to one who is alone and falls and does not have another to help. 11 Again, if two lie together, they keep warm; but how can one keep warm alone? 12 And though one might prevail against another, two will withstand one. A threefold cord is not quickly broken. 13 Better is a poor but wise youth than an old but foolish king, who will no longer take advice. 14 One can indeed come out of prison to reign, even though born poor in the kingdom. 15 I saw all the living who, moving about under the sun, follow that youth who replaced the king; 16 there was no end to all those people whom he led. Yet those who come later will not rejoice in him. Surely this also is vanity and a chasing after wind. The Hebrew word shalom is only used in Ecclesiastes in the previous chapter in the contrast between war and shalom (peace). Yet, beneath all of the vanity and chasing after the wind is perhaps the search for this concept of shalom, which is far more than an absence of conflict. Shalom has the sense of harmony, balance, living at peace with God’s will for one’s life and world. It is a greeting and a wish for one’s friends and neighbors and for one’s own life and yet then and now it seemed illusive. Qohelet turns his wisdom to the things that rob us of the joy and shalom of how life should be. In the brief verses of chapter four he addresses in a form that moves towards proverbs the issues of oppression, comparison and competition, overwork, isolation and institutional incompetency. Oppression robs us of our humanity, both the oppressed and the oppressor. For the oppressed it means living in a sick society where their lives and work seem to matter less than those who operate in a more privileged state. For the oppressor it often means unconsciously adopting the views of a sick society that have allowed them to prosper only at the (often unseen) expense of others. Wisdom has opened the eyes of the privileged author of Ecclesiastes and it sickens him. The reality of oppression makes death better than life for him because it is not simply that an oppression can be stated and once brought into the open it dies under the light of day. Oppression involves a lifetime of learned and observed behaviors that require patience, prayer, struggle and dis-ease if the disease is ever to be healed. Oppression can be learned in families, in economic structures and in political systems and they in their own way are demonic. They so weave their ways into the thoughts and actions of ordinary people that they become a part of us. When the demons speak through us they reveal the uglier side of our lives and the inability to see one another as a gift, but instead we begin to see others as people who are to be oppressed or are our oppressor. In the United States there has been a long struggle among people of color, women and people who because of race, sexuality, economic status, religion (or lack of religion), manner of dress, or numerous other reasons have felt their voices and lives did not matter. While I hope that the struggles of the last several years may eventually lead to a society that moves towards greater equality, for now there is no one to console the tears of the oppressed or the comfort those in power as they deal with the ways privilege has stolen a piece of their humanity as well. Perhaps there may come a day when those who have not been born yet don’t have to wonder if black lives, to use one of the red hot points of struggle in our time, matter less than other lives. There are places where our society is sick and its disease has infected all of us making our lives less human and less worth living. The oppression has possessed the soul of our society in the way it allows us to demonize others and to not see or hear them. The conflict that oppression creates robs our lives and our society of the shalom that wisdom seeks. Ecclesiastes does not offer the cure, only the diagnosis of the thing that steals our joy and peace, both the privileged and the excluded. Envy is what Ecclesiastes names the second element that steals our joy and peace. This seems to encompass the ways we compare and contrast ourselves with one another. One the one hand toil and skill in work come from learning from and measuring oneself from the work of others. The author of Ecclesiastes can find joy in his labor, yet it can also become a source of anxiety. If our lives are continually measured by the gifts, talents and abilities of others then we will rarely, if ever, be satisfied. Our gifts and talents are not another’s gifts and talents. There is joy in learning to do what one is able with one’s gifts and abilities, for seeking what excellence might look like with one’s talents. Yet, envy of another’s gifts can steal the joy we find in our skills and work. Especially when one takes into account the following verse about the slave who deals wisely and the child who acts shamefully in the context of the end of chapter four. There is wisdom in the practice of Sabbath, the practice of resting from one’s labor and toil. There is wisdom in finding joy in one’s work and pleasure in one’s leisure and knowing the balance of both. The wisdom of not wearing oneself out to be rich, of knowing when to desist but also not folding one’s hands only to consume one’s own flesh. Isolation can also be a source that can rob us of joy. Sharing our labor with another, being able to share in the triumphs and the travails is one of the joys of life. Isolation can take many forms in life, isolation in the home, at work, in our leisure time and in our public time. A life that is driven by competition and envy shatters our community with one another. We were built for lives of partnership in our various vocations to support, strengthen and renew one another. In a world of increasing connection through digital media we face the struggle of maintaining the physical and personal connections that once formed the communities of our ancestors. In an unfair and often unjust world we need our solidarity with one another so that together we might be a cord not easily broken by the injustices and oppression of the world. Qohelet seems to have little faith in the institutional structures of his day to provide wise, fair and just governance and a place where a life of shalom comes naturally. We live in an age where people have also become wary of the institutional structures of government, religion, and economics. There are some who still wonder, like Jesus’ disciples, that if a rich young man cannot easily enter the kingdom of God, then who can be saved, for the wealthy and powerful were supposed to be the blessed and the wise. Too many times we have seen the wealthy act only out of self-interest, the powerful act foolishly, and those supposed to be righteous commit horrible acts. Wisdom still has its place, even without power or wealth or fame, to navigate the way of the world. In the midst of oppression to find those moments of peace and the solidarity of one another. From the blindness of being the oppressor to cherish those moments, as difficult as they may be, when one’s eyes are opened and we can perhaps see a different future. Wisdom finds the balance between idleness and overwork and can find satisfaction in one’s own abilities and accomplishments. Like all things of shalom, they are transient. The seasons continue to turn and times of conflict do arise. The quest for permanence, security, and a lasting name ultimately give way to mortality and the turning of the seasons. These evanescent moments may not last for long but they are the gift of God that gives meaning to the toil and the struggle. This entry was posted in Biblical Reflections, Ecclesiastes and tagged Ecclesiastes, Ecclesiastes 4, Hebrew Bible, Isolation, Joy, Old Testament, Oppression, peace, Work. Bookmark the permalink.